You see an old couple walking on the street and holding hands. Isn’t that adorable? So many years together and their devotion can still be seen in the little gestures they show one another. Respect and appreciation is what they radiate. What helped them preserve their feelings for each other? Probably not forgetting the special occasions that happen every year like birthdays and wedding anniversaries. The anniversary itself is a celebration that is meant for spouses, and the thing they celebrate is their union and life together. Small gestures that express love are never enough. Every person has to know that he or she is loved, and you shouldn’t assume that it goes without saying. How can you show that? Flowers are the simplest but best answer. 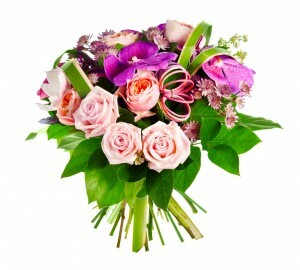 Flower Shops is a master in arranging different variations of Anniversary Flowers. You can choose the bouquet by favourite colour or flower of your spouse. You can follow the symbolism that flowers hide are invested with. If you haven’t heard, there is a specific flower that’s intended to be given for each year of a wedding anniversary because it symbolizes something definite. For example, carnations are suitable for the first anniversary because it contains the message of a promise for a life together. The second and third anniversary can’t go without a lily of the valley and a sunflower, respectively. The former represents devotedness and the latter, loyalty. Daisies indicate tenderness and are supposed to be the gift for the fifth anniversary. The tenth anniversary is the one of daffodils which represent chivalry and extraordinary love. Roses are appropriate for the fifteenth anniversary, and they are a well-known symbol of love. For the thirtieth anniversary you should have lilies at hand in case you want to give Anniversary Flowers Deliverysomething that symbolizes majesty. The fiftieth anniversary is a huge event that should be celebrated in a special way but make sure not to forget about violets, since they indicate a long commitment and faithfulness. Undoubtedly, anniversaries are something happy and full of pleasant memories. Whether just a year passed since your wedding or fifty long years, you shouldn’t forget this date, and you should give all the attention to your spouse on that day. Ordering flowers from our company is the least you could do. And if you think that sending flowers has become a habit, don’t stop doing it because they not only show that today is a special day but also bring beauty to your home. It’s a way to make your other half feel loved and esteemed. And if you feel like doing something bigger and worth remembering for years to come, do it as long as it shows your attachment. It’s not necessary to follow traditions; follow your heart instead, and if you truly love your spouse, it’ll show you the right way to celebrate this special moment. Adding some Anniversary Flowers to the event can only help. Flowers have the ability to bring additional festiveness to any occasion. 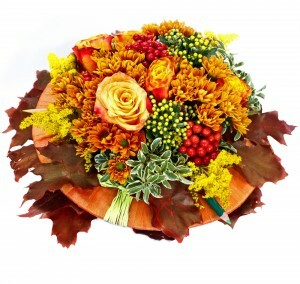 All flowers from Flower Shops are delivered in perfect condition. If you have a vision about the way your anniversary bouquet should look to match the preferences of your other half, you can explain all the details to us, and we can easily and professionally make it for you in no time. We aim to please, even if it means creating a special arrangement at the last minute. Our flower delivery services are consistent with your needs, and the flowers you order are delivered at a time that is convenient for you. Be the ones to call us on ‎020 3900 2440, and we’ll be the ones to provide you with something that looks and smells lovely for your anniversary.